Pest control leader ORKIN reports that Chicago tops the 2013 Bed Bug Cities List with the result the City Council passed an ordinance in July 2013 urging to have a formal management plan in place for the detection, inspection and treatment of these pests. Bed bugs are increasing in Europe, USA, Canada and Australia. The infestations have been occurring in a wide range of facilities in the developed world in recent years including: hotels (from backpacker to five star), overnight trains, private homes, cruise ships, schools, hospitals and homeless shelters. Bed bugs have been shown to be able to travel over 100 feet in a night but tend to live within eight feet of where people sleep. A bed bug bite affects each person differently. Bite responses can range from an absence of any physical signs of the bite, to a small bite mark, to a serious allergic reaction. Many cities across the world are experiencing a huge surge in the bed bugs; and pest control company Terminix reports a list of the 15 worst hit cities in US according to CBS news. 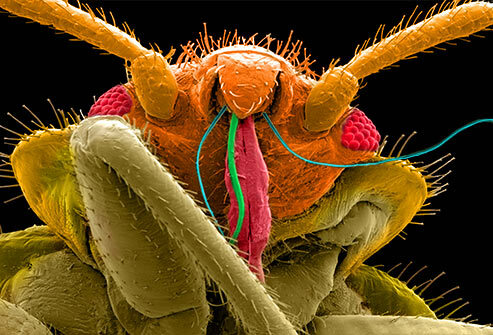 To control bed bug infestation, it is suggested to try Integrated pest management (IPM) techniques to reduce the number of bed bugs, reduce the number of hiding places and regularly wash, heat and vacuum the materials. A novel method tries to solve this problem using nanotechnology. The nanotech solution was developed at Stony Brook University's Center for Advanced Technology in Sensor Materials (Sensor CAT). 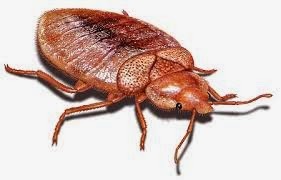 They have developed a safe, non-chemical resource that literally stops bed bugs in their tracks. This innovative new technology acts as a human-made web consisting of nanofibers which entangle and trap bed bugs and other insects. According to scientists the entanglements are millions of times more dense than woven products such as fabrics or carpets and these fibers trap them by attaching to microstructures on their legs stoping their ability to move, which stops them from feeding and reproducing. The entangling fibers are safe for humans and pets and unlike chemical treatments the insects cannot develop a resistance to it.